Make it a summer to remember! 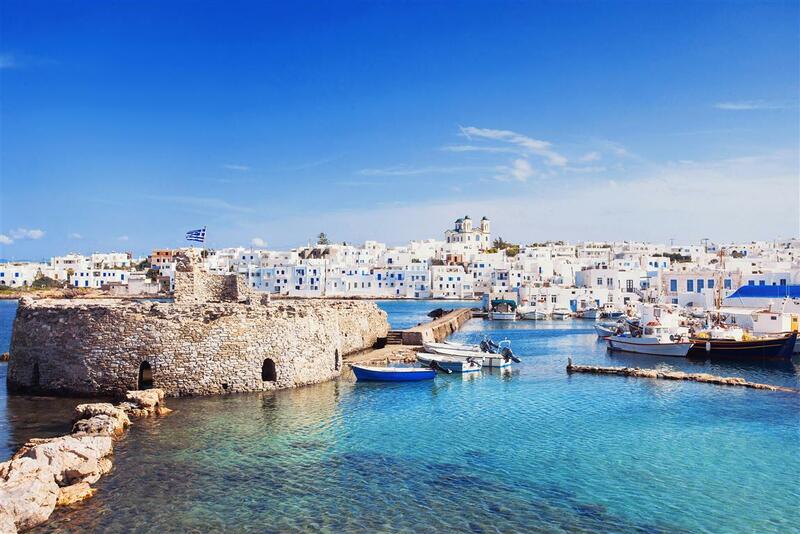 Our 5 day, Grand Cyclades Cruise, showcases more than 10 Cyclades islands! 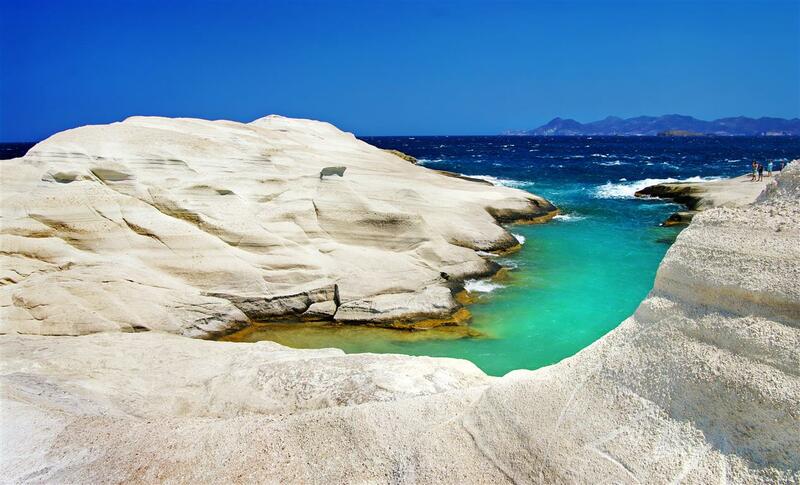 The Cyclades islands are considered by many to be the paradise of the Aegean sea and for a good reason! Idyllic scenery, rare beauty, whitewahed villages emerged from the sea and virgin sandy beaches with crystal clear blue waters are only a few of the magic moments you’ll witness! 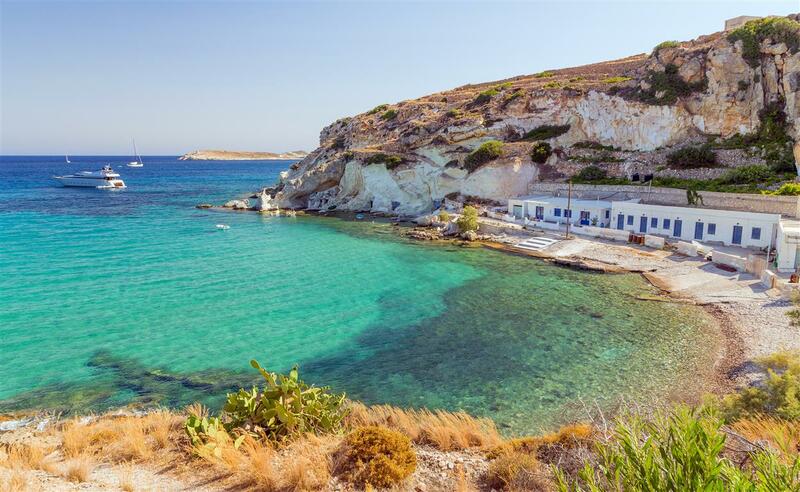 Explore the hidden beauty of islands such as Paros and Antiparos and off-the-beaten-track islands such as Koufonisia and Mylos. 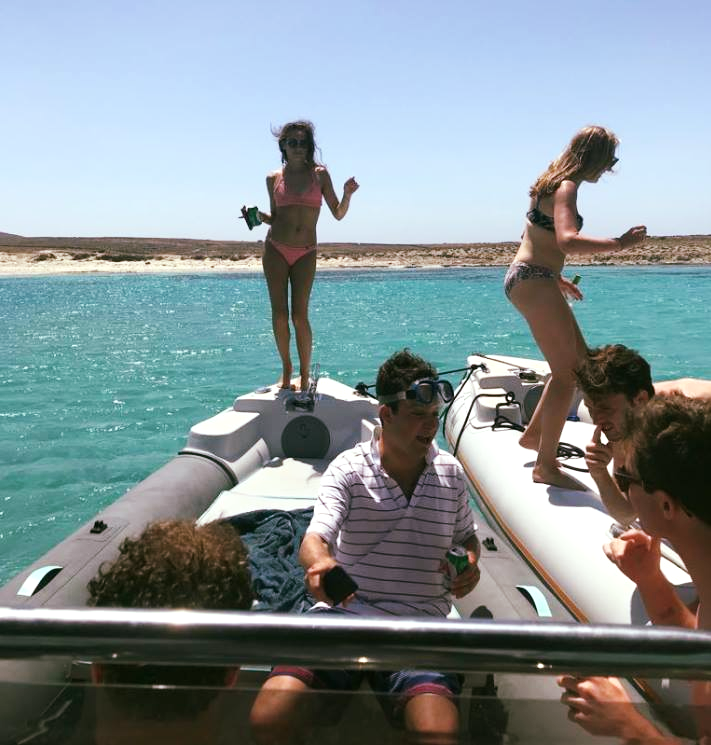 The highlights of this program are the overnights in Santorini and Amorgos, the old Greece atmosphere in Folegandros and your swimstops in some secluded bays where you can swim from the boat. For those who wish to experience the incomparable rejoice of a summer like no other, this route is the ideal choice! 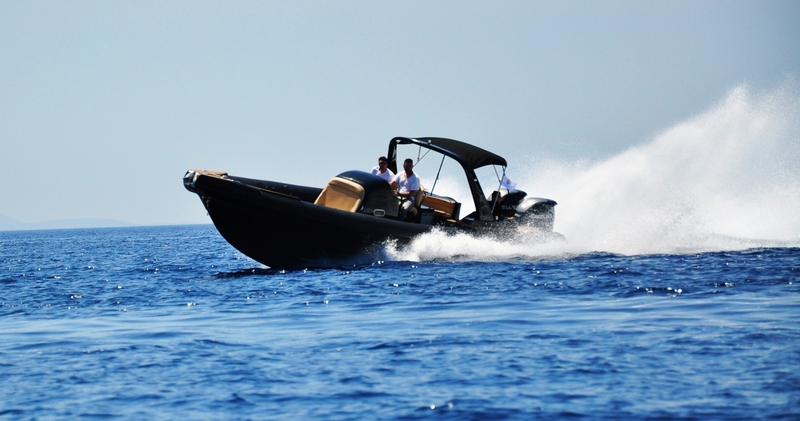 Join us now and explore the magnificent beauty of the Aegean Sea from the comfort of your own private boat! 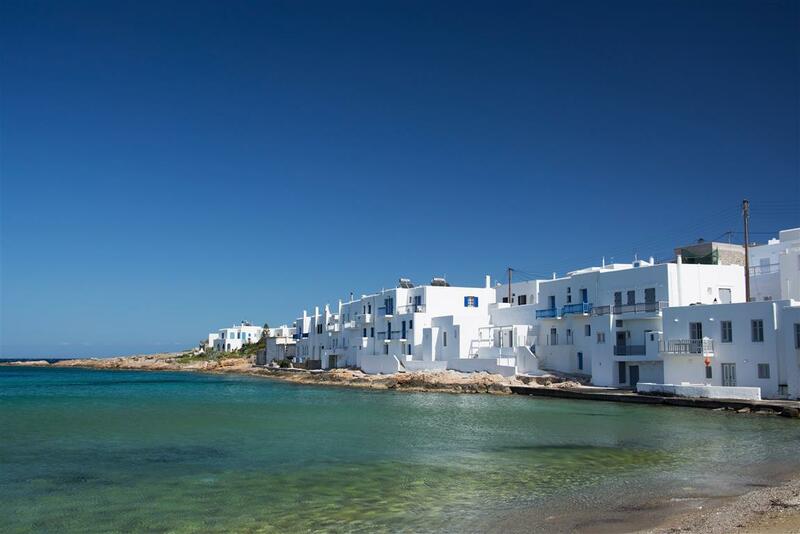 For starters we approach Paros and particularly secular and famous Naousa. In the past the port was a den of pirates. Today, it has numerous restaurants, bars, cafes composing a living cinematic backdrop, which is difficult to find elsewhere in Greece. We can walk through the picturesque alleys, visiting the port and small castle, called Castelli, project by Venetians, much of which survives to this day. 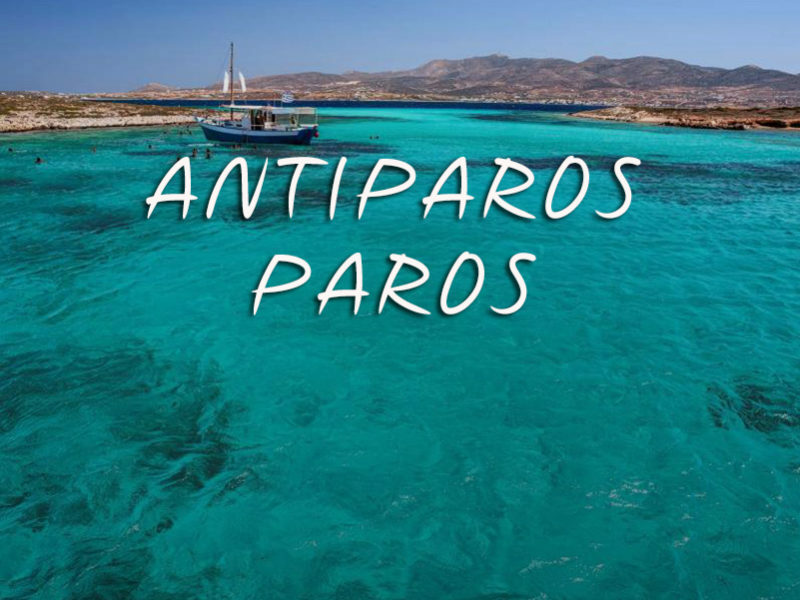 We continue on to the nearby Antiparos and arrive at the harbor of Chora. 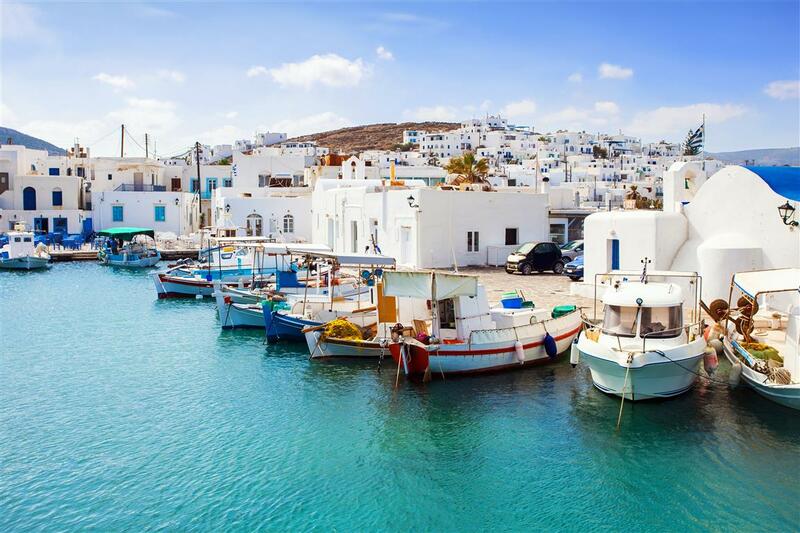 You can disembark for a walk in the stone-paved alleys with bougainvilleas and eucalyptus trees, as well as white houses with blue windows. We cast off and move along the east coast of the island. On the southern side we make a stop at the impressive rocky "bridge", a creation of nature, where you can take a dive in the crystal clear waters. 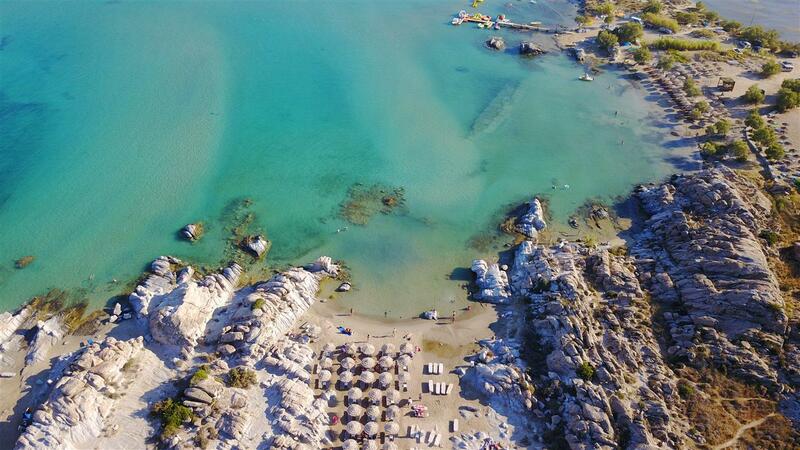 Next destination is the rocky islet, called Despotiko, which is uninhabited, but remains a unique attraction due to its beaches. 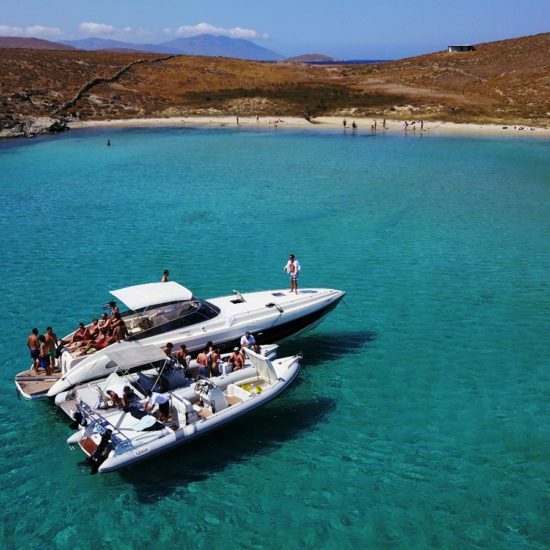 The long beach of Despotiko is the most famous and the ideal place for a swim, snack and drink that we can offer to you on board. 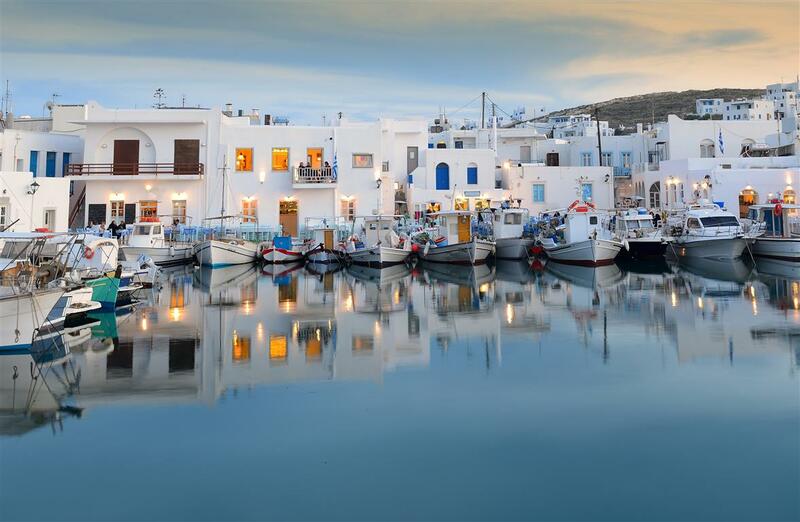 Nearby is the southern coastline of Antiparos, which has traditional, tasteful restaurants, if you wish to try the local cuisine. 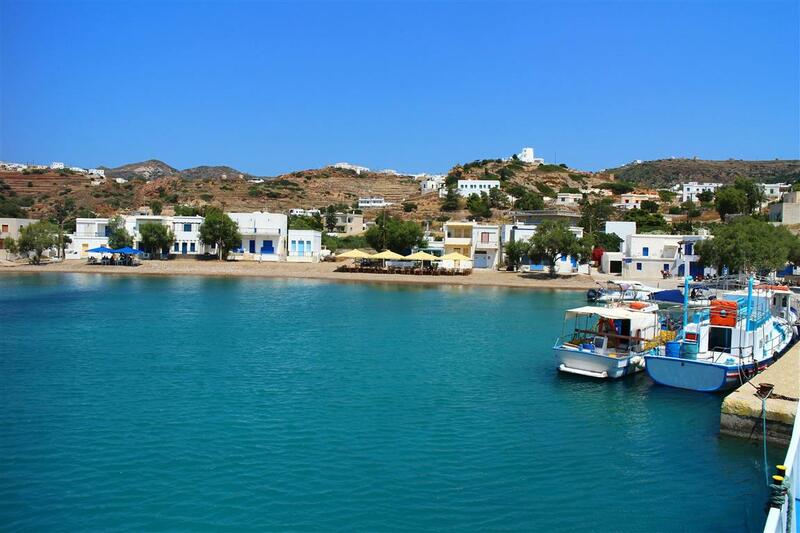 Then we reach Sifnos. You will be impressed by the Chrysopigi Monastery. 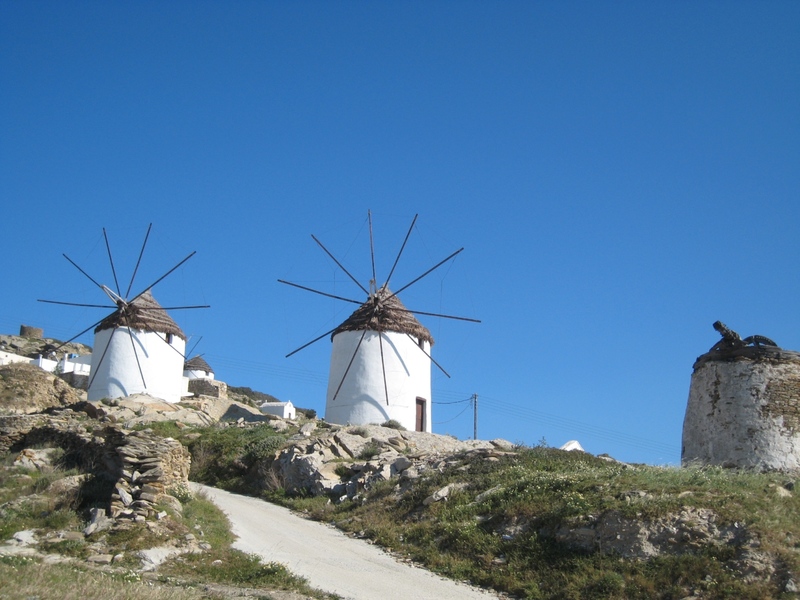 The sight of the small cape with the monastery proudly dominating the torn rock is enchanting. 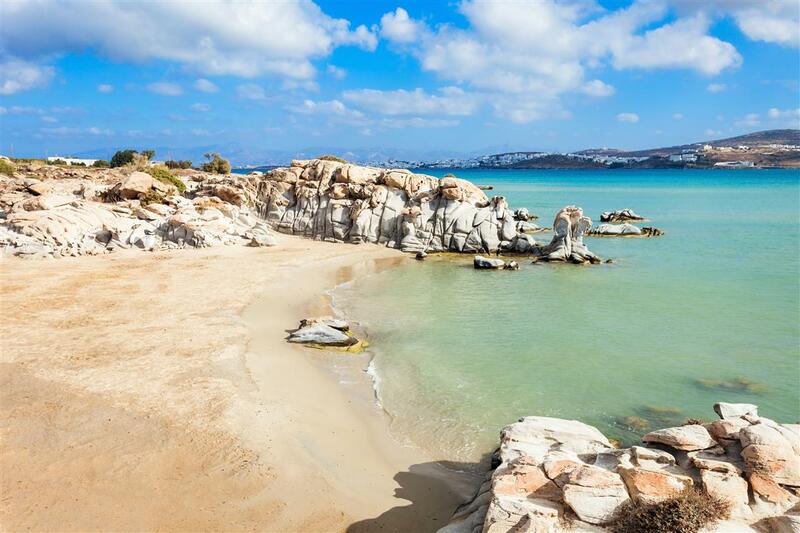 We visit Platis Gialos, one of the largest sandy beaches on the island, which is the most popular choice of Greek and foreign visitors. It has beachfront restaurants and beach bars right next to the sea. 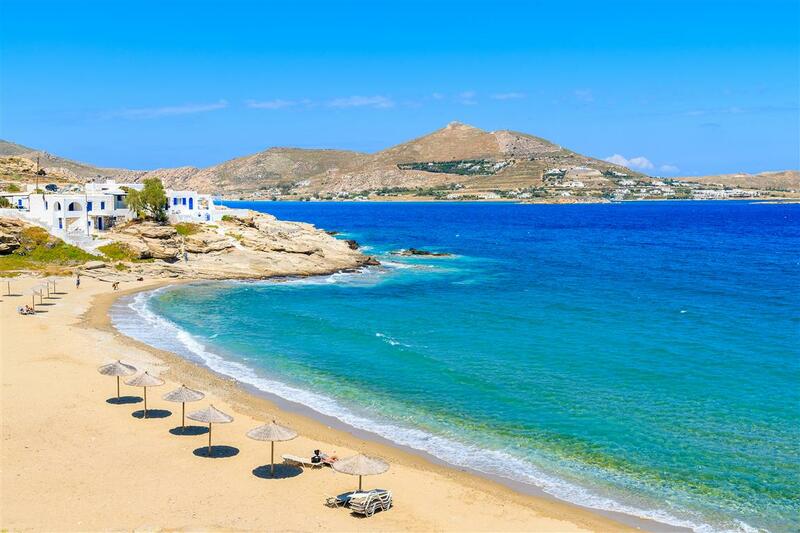 If you want something calmer, small bay Fikiada is the perfect place that will impress you with its crystal clear waters and golden sandy beach. The small marina in Vathy is the spot where we can stay overnight. The experience of staying on the boat is unique, while you can get off for a walk in the seaside village for food and entertainment. 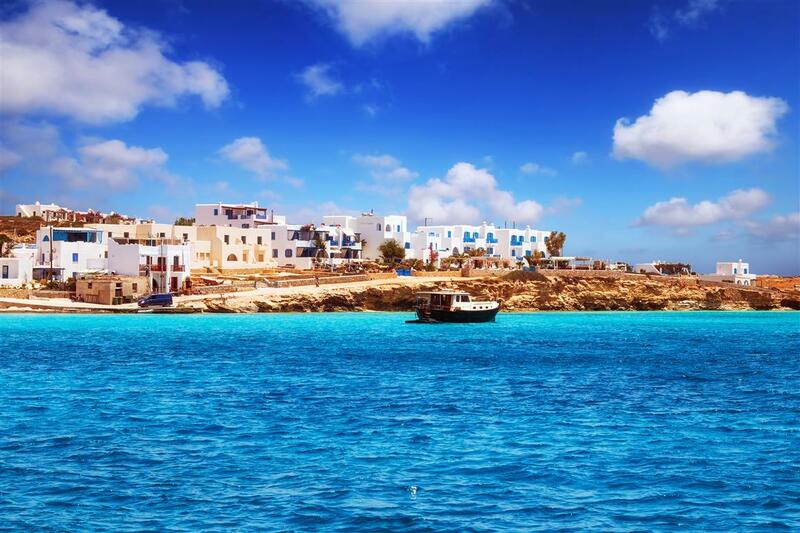 The next day, after enjoying the breakfast we will serve you on board, we will depart to Kimolos, our next destination. 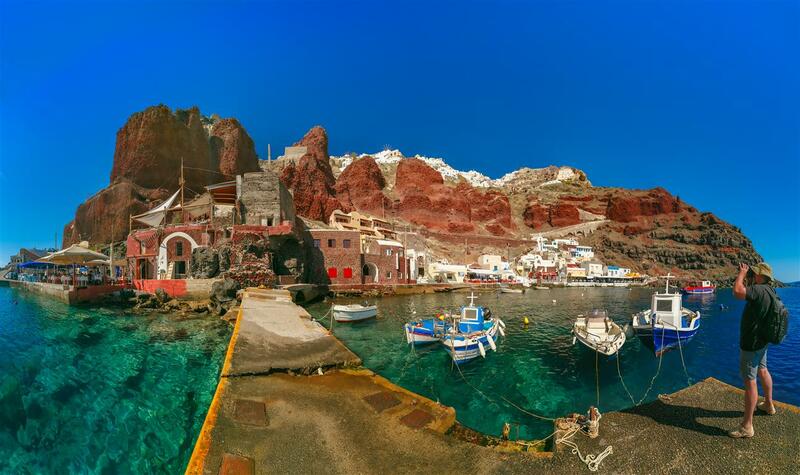 The volcanic island with its colorful, shiny pebbles, clear waters and gray-white rocks makes the imagination travel, composing a backdrop of unique beauty. 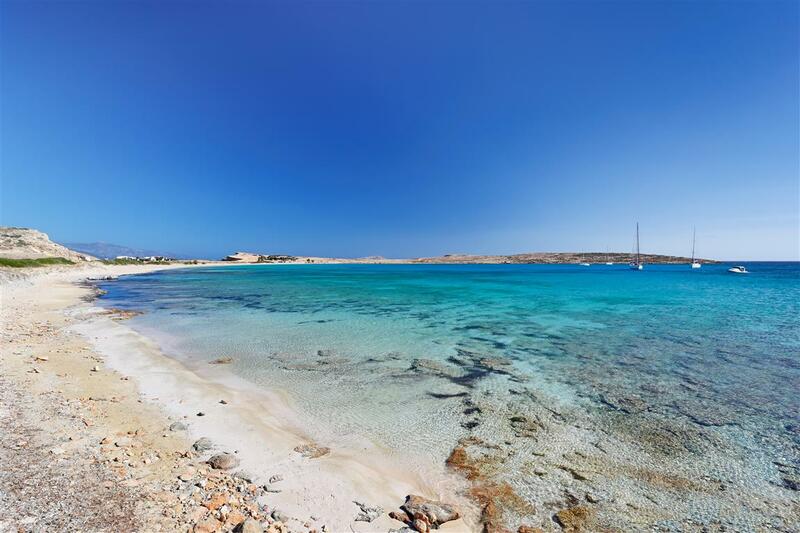 First we reach Prassa Beach, one of the most impressive beaches on the island, with turquoise waters and white, thick sand. 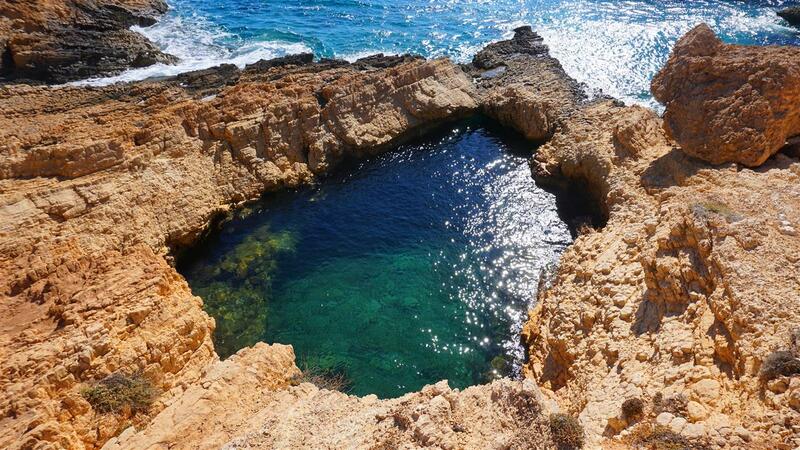 The perfect spot for swimming! 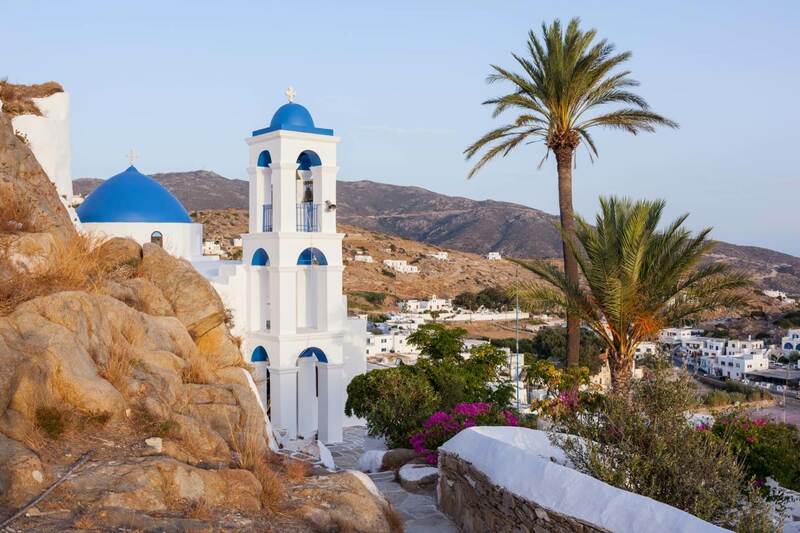 Moving towards the south, you will enjoy the view of the small village Klima, with its traditional white houses with colorful doors and windows. 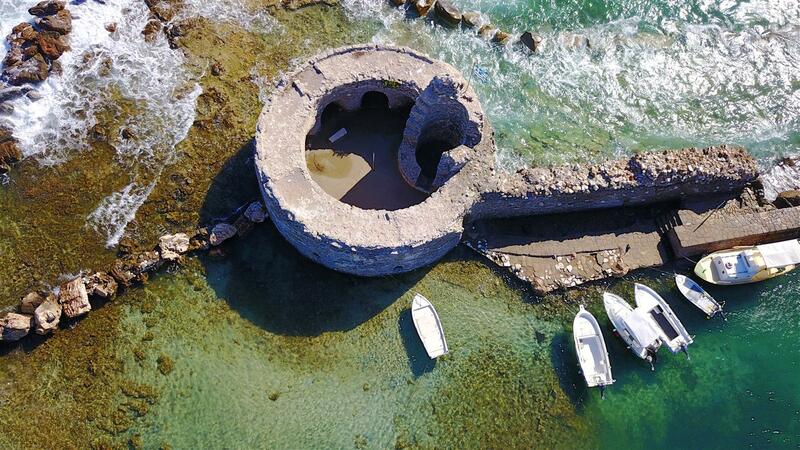 A little further, in the picturesque fishing village of Gioupa, you will see the "elephant", a rock form, that was formed by the sea and the air over time. At another point, the "Wires", the caves that the fishermen carved on the rocks to draw their boats in the winter, will get your full attention. We continue the trip towards Mylos. 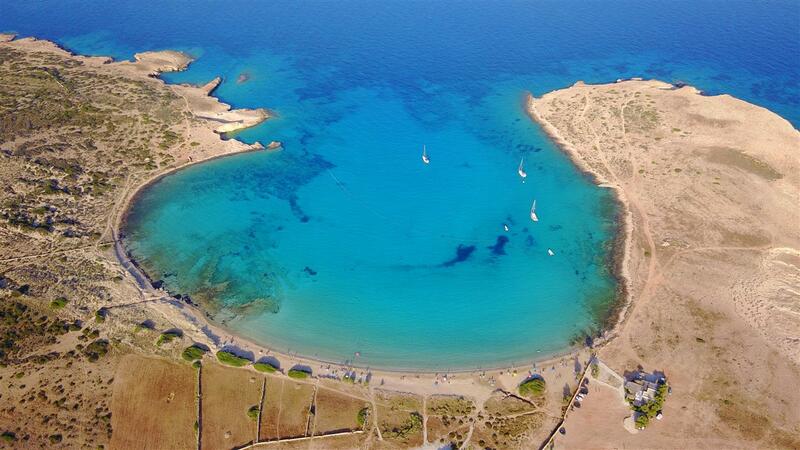 The island where the world famous statue of Aphrodite of Mylos was discovered. 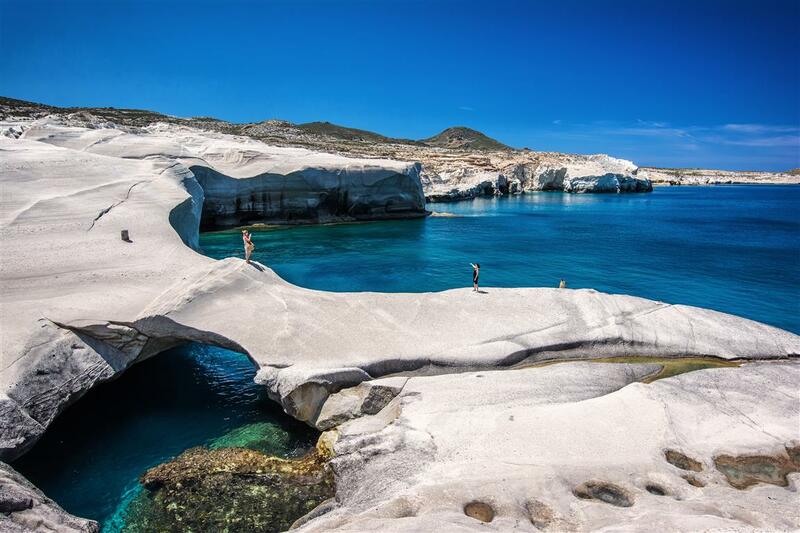 As we approach the northern coastline of the island, we reach the famous beach of Sarakinikos, this small "eerie" beach with the white rocks and the crystal blue waters that create a "lunar" landscape, magnetizing all those who are fortunate enough to visit. 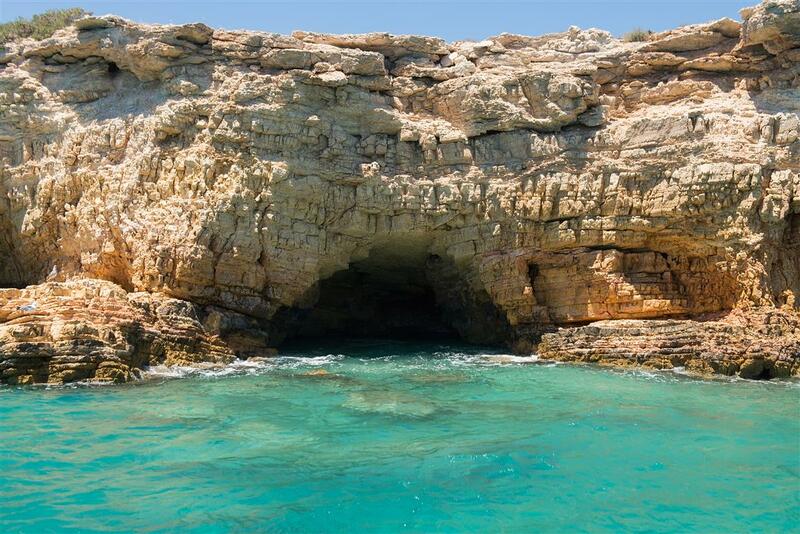 On the western side of the island we will visit the impressive cave of Sykia and Kleftiko, which were the hideouts and the bases of the terrible pirates of the Middle Ages. 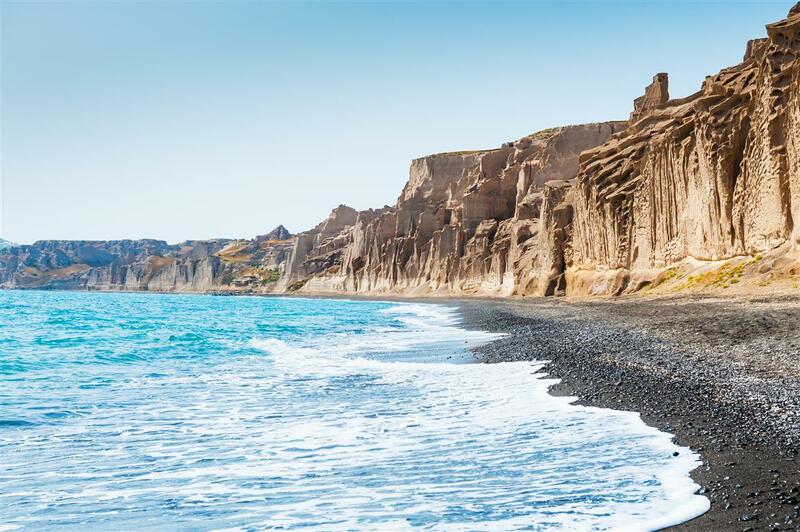 Along the southern coastline we find organized and deserted beaches such as Paliohori and Provata, seaside settlements with beautiful beaches with golden-red sand, rocks and shallow waters. 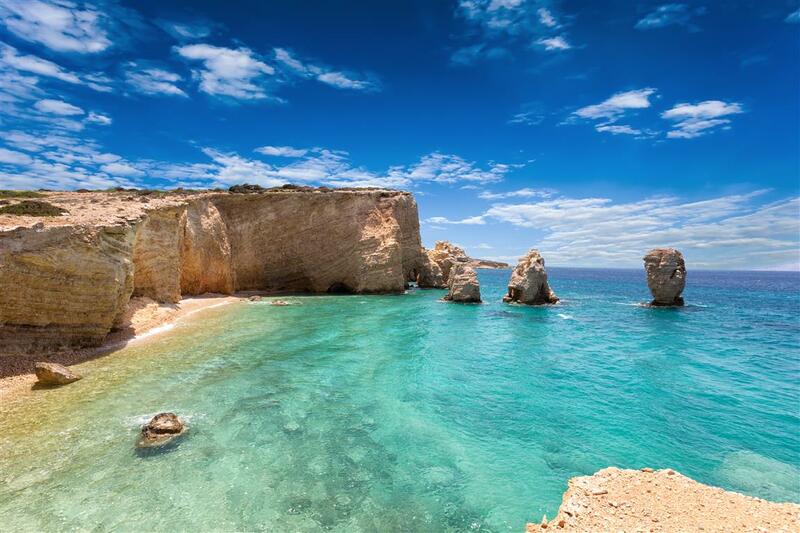 On the contrary, Tsigrados with its crystal blue waters and gray sand will satisfy those who want tranquility, since it is the perfect place for a swim! 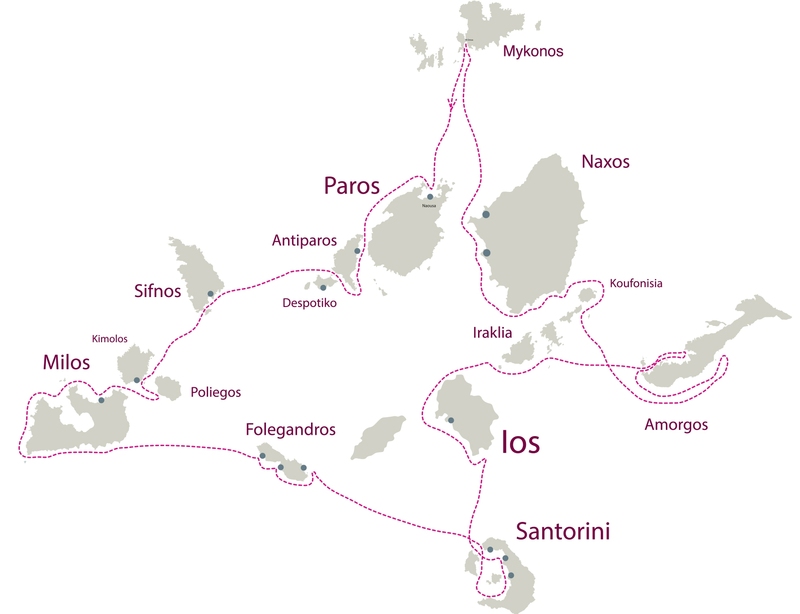 We leave Mylos and our next destination is the rocky islet Polyaigos. It is a paradise on earth. 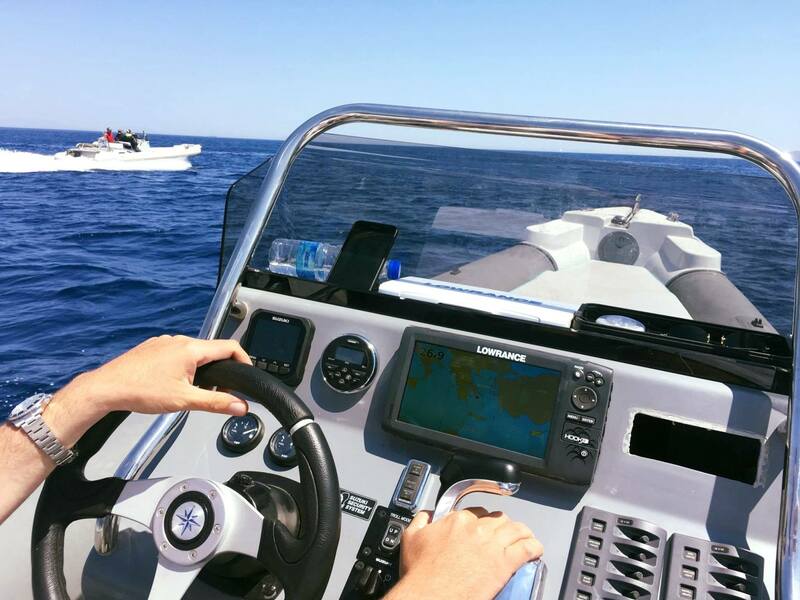 It hosts rare species of flora and fauna in a wild landscape, while its beautiful coasts, like Mersini, attract boat owners from all over the world like a magnet. 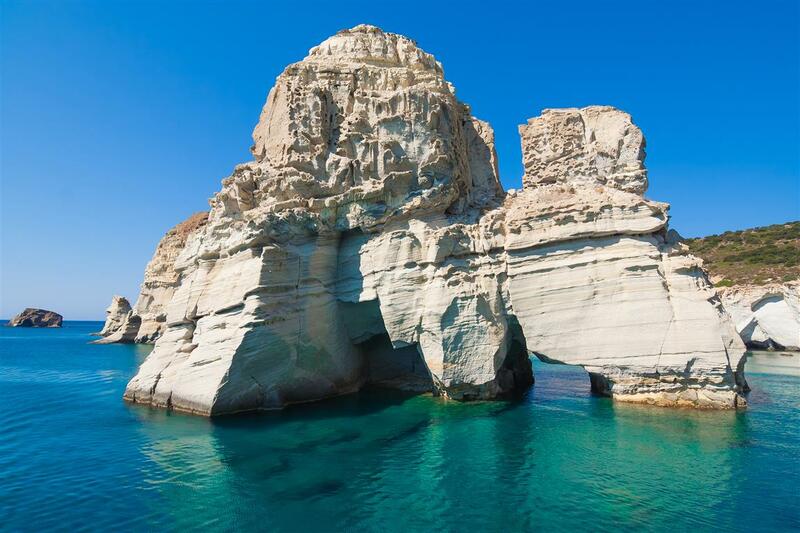 We depart for the island of Folegandros. 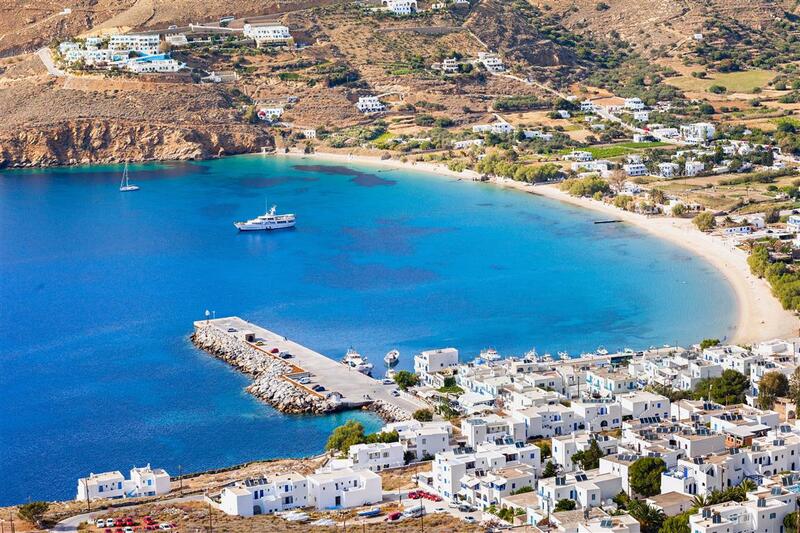 One of the most unspoiled islands of the Cyclades. 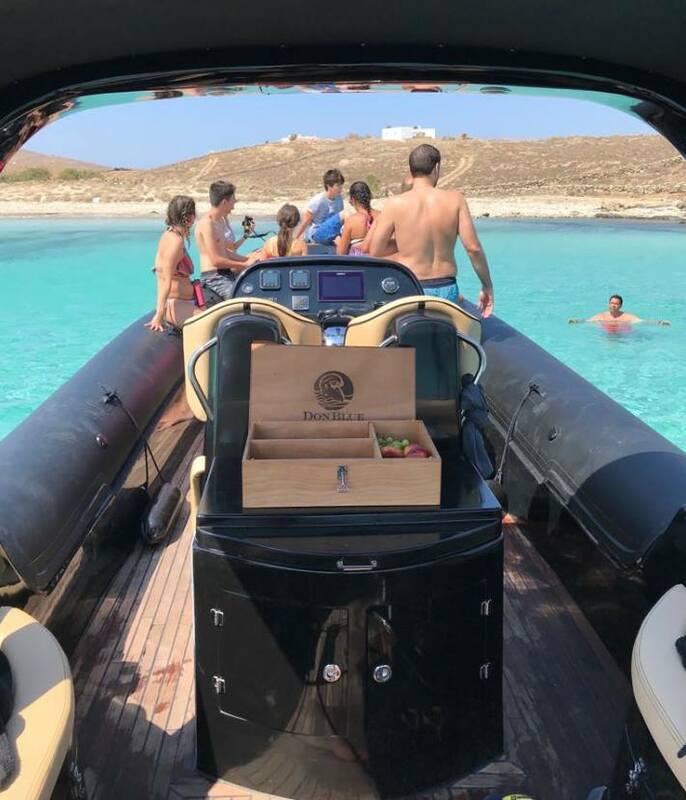 At the southern rocky coastline, closed coves are created with turquoise clear waters and small beaches, such as Ambelia and Livadaki, ideal spots for enjoying the sea and the warm sun with a drink and a snack that we offer you on board. 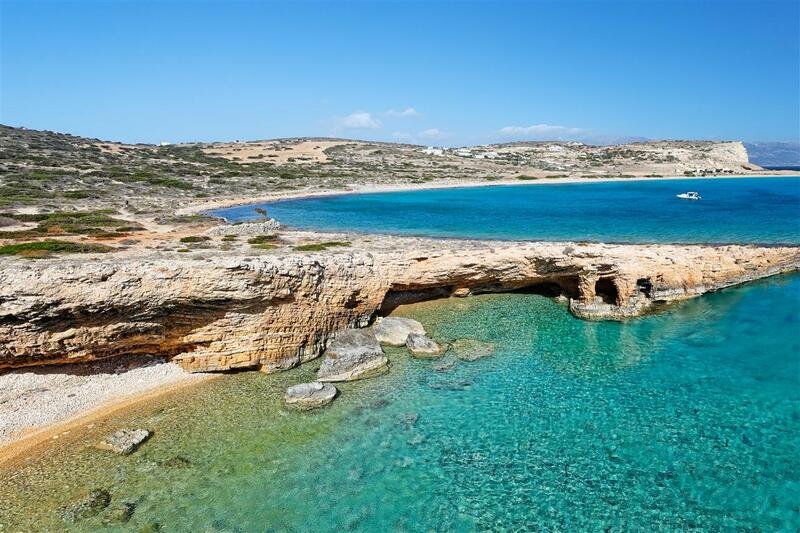 Continuing to the south, we will approach Katergos, a secluded, unique beach, accessible exclusively by boat and a pole of attraction for those who want something different on the island. 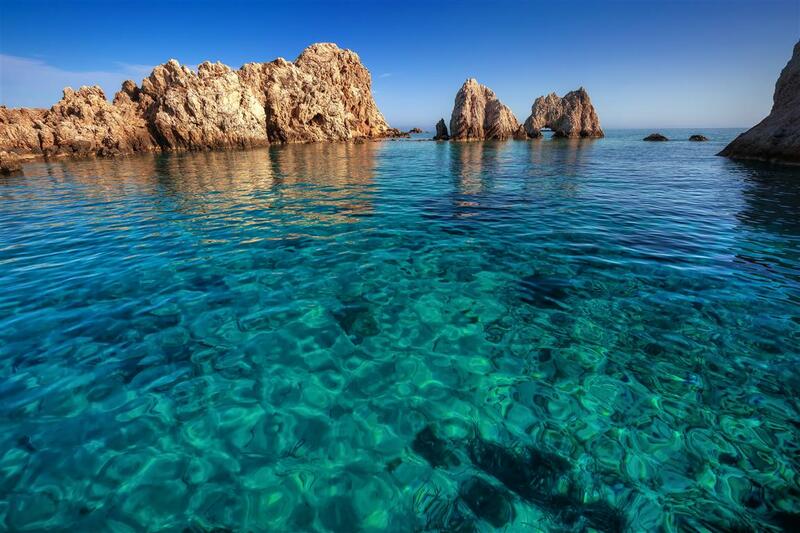 The crystal-clear, aquamarine waters magnetize even the most demanding visitor. In the afternoon we arrive at Karavostassi, where you will have the opportunity to spend the night on board. 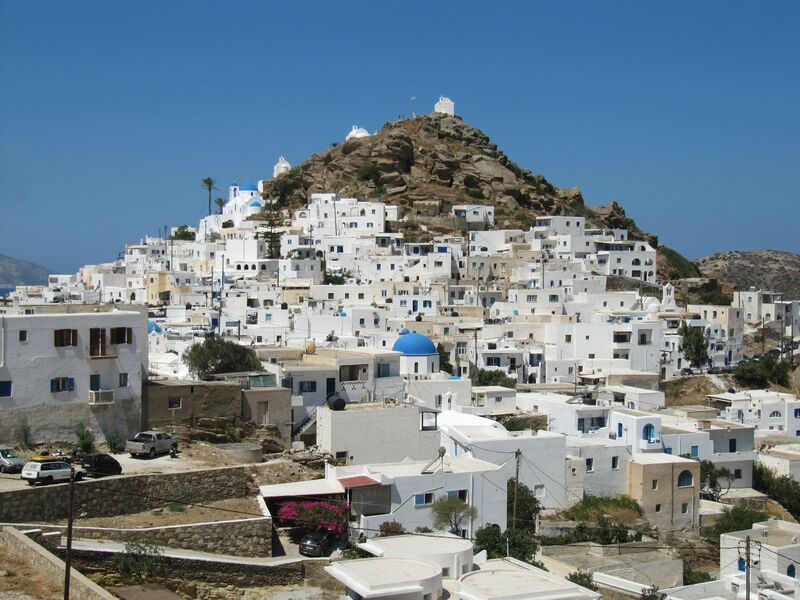 You can wander on the pavements of Chora of Folegandros and the narrow streets of Kastro, while climbing the rock of Panagia you will have the chance to enjoy the magnificent panoramic view of the Aegean Sea. You can taste the traditional Cycladic specialties and experience the nightlife of the island. 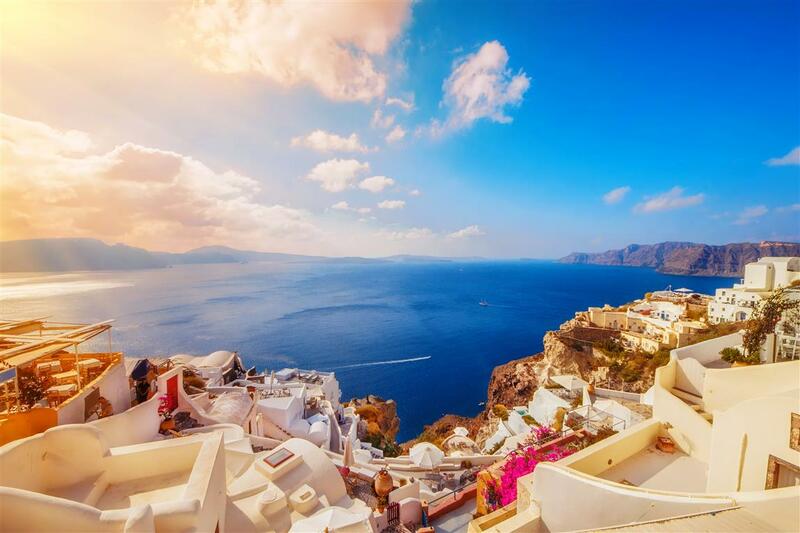 The next day, after enjoying the breakfast we are offering on board, we depart for the famous Santorini. 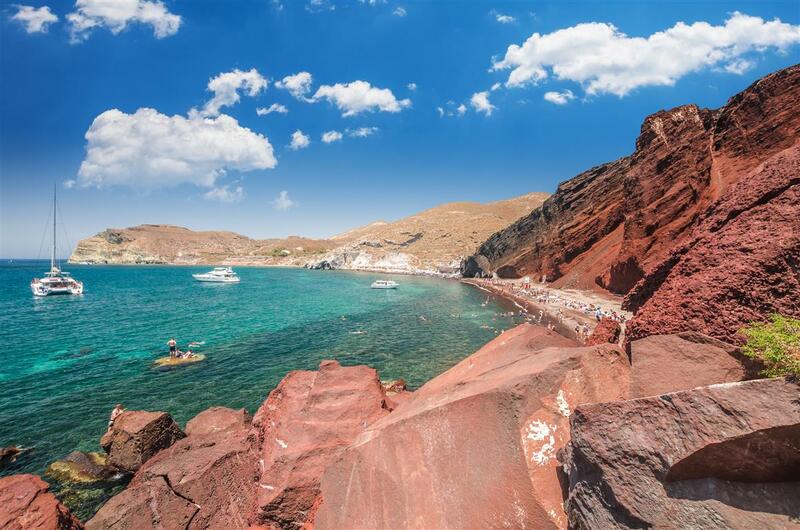 On arrival we will visit the famous Caldera and the island's particular beaches, which stand out for the dark-colored sand and the lunar landscape due to the volcanic rocks of the area. 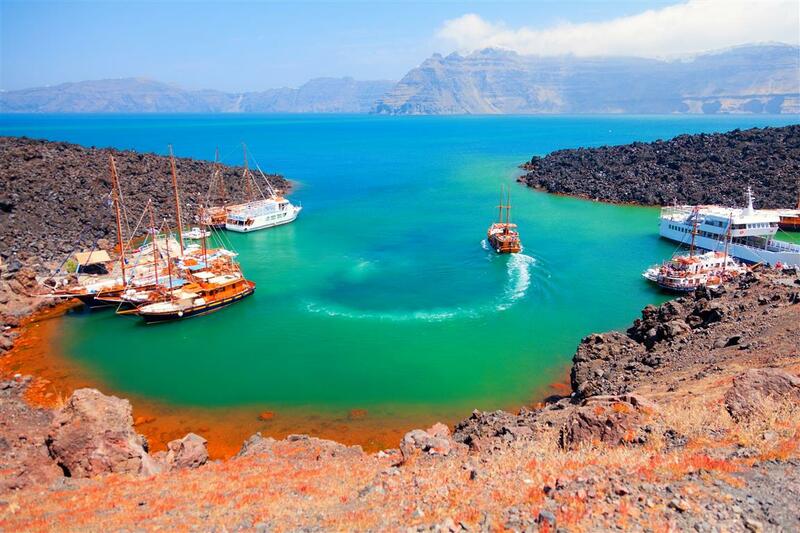 In Santorini you will be able to spend the night on the boat and visit the island. 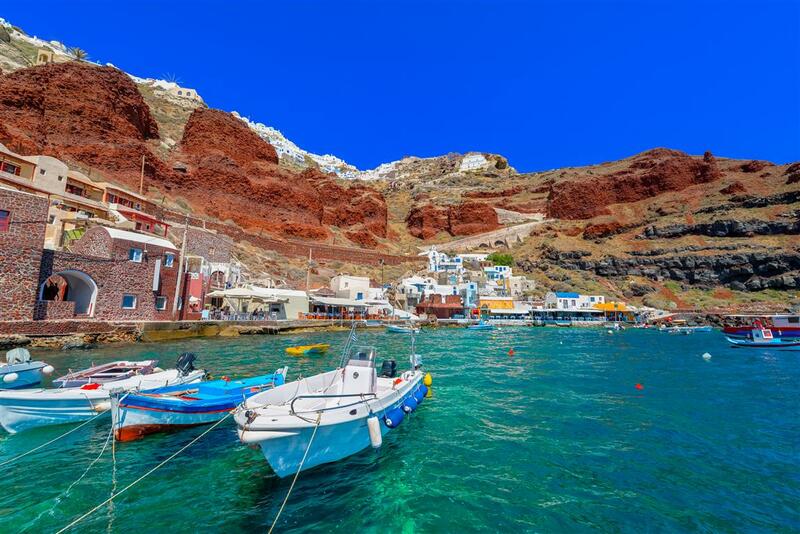 You will have the chance to enjoy the unique sunset, either from the boat or the beautiful Oia, which boasts the cave, whitewashed, picturesque houses and the magnificent view of the endless deep blue. The next morning we depart for the nearby Ios to visit the most beautiful and most famous beach of the island, Manganari, which impresses at first glance. The turquoise waters with the fine sand and a unique natural landscape, consisting of four successive beaches, create a beautiful lagoon. 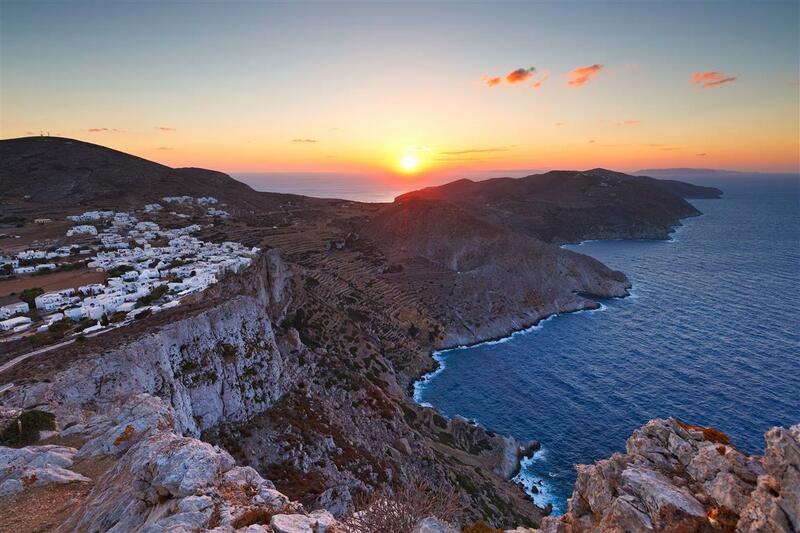 Then we travel for the beautiful Amorgos. 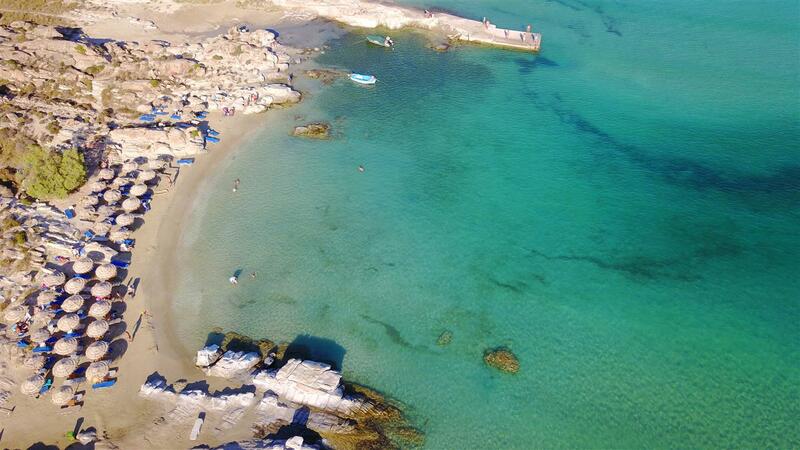 The beaches of Mourou, Kampi, Agia Anna are just some of the beaches on the southern side of the island. Some more peaceful, others with more people, but all of them have crystal clear deep blue waters, which cause a special attraction. 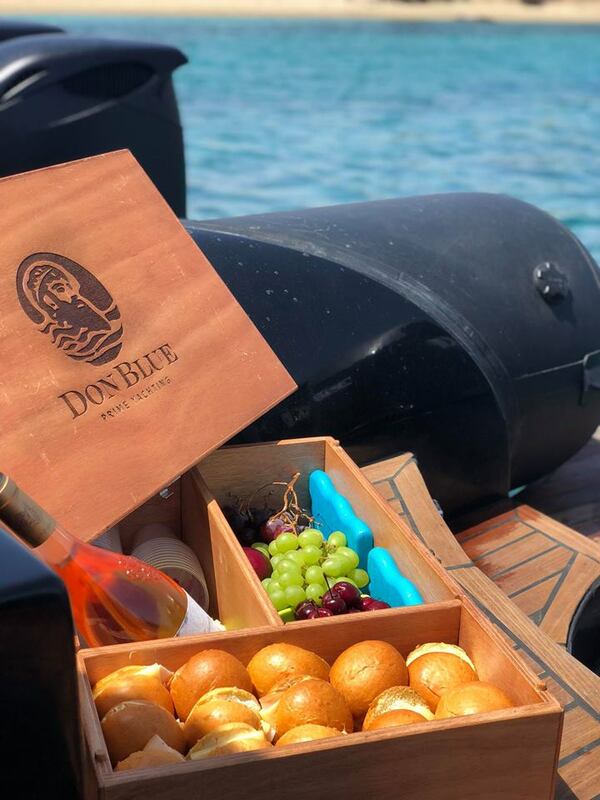 You can swim, enjoying the drink and the snack we offer on board, under the warm sun. We will also visit the Monastery of Hozoviotissa. It is famous for the impressive scenes of the movie "Big Blue"(1988), which took place in this location. The temple is built in 1088BC. Its ultimate construction is a miracle of willpower and at the same time elegant white, perfectly tied to the dark rock. 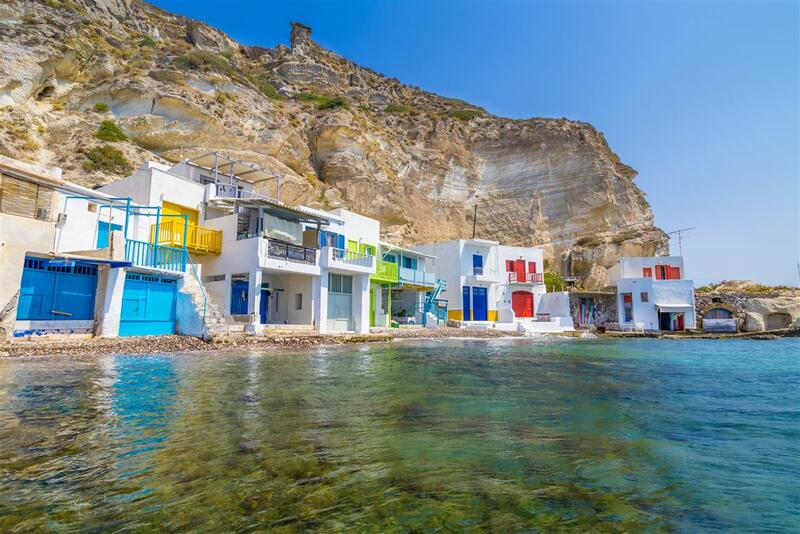 The small port of Katapola impresses at first glance, as three villages with whitewashed Cycladic houses that surround the secluded bay, creating a picturesque setting. This is the point where you can stay overnight. The experience of staying on board is unique, while you can disembark at Katapola to sample the local cuisine or experience the nightlife. The next day, after enjoying the breakfast we will serve you on board, we depart for Ano Koufonisi. 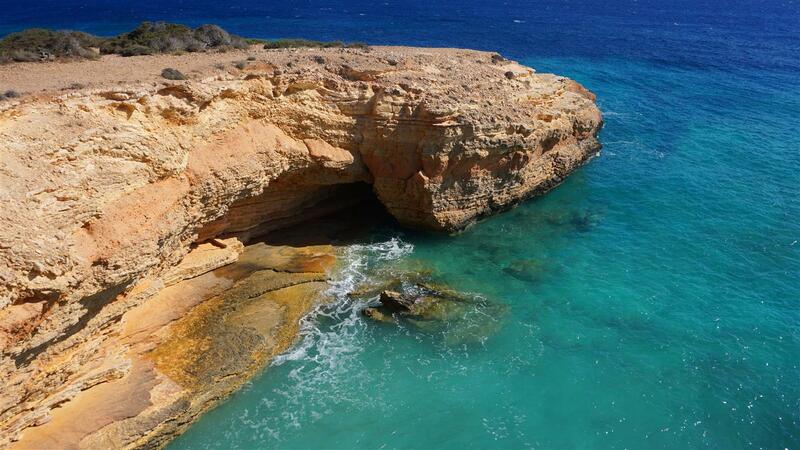 Along the coastline, we will encounter many small coves and rock caves that provide the possibility of swimming and relaxation. We will come across the beaches of Gala and Pori, famous for those who love surfing. Continuing, we will find ourselves in the "Pool" or, as known by many, in the "Devil's Eye". 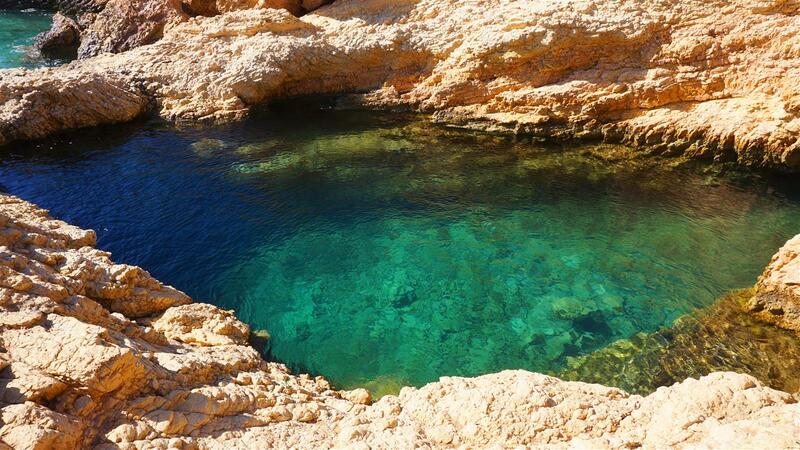 It is a natural hole in the rock, which creates a natural swimming pool. Very few can resist the temptation for a dive! Kato Koufonisi is uninhabited and has a lacy shoreline. 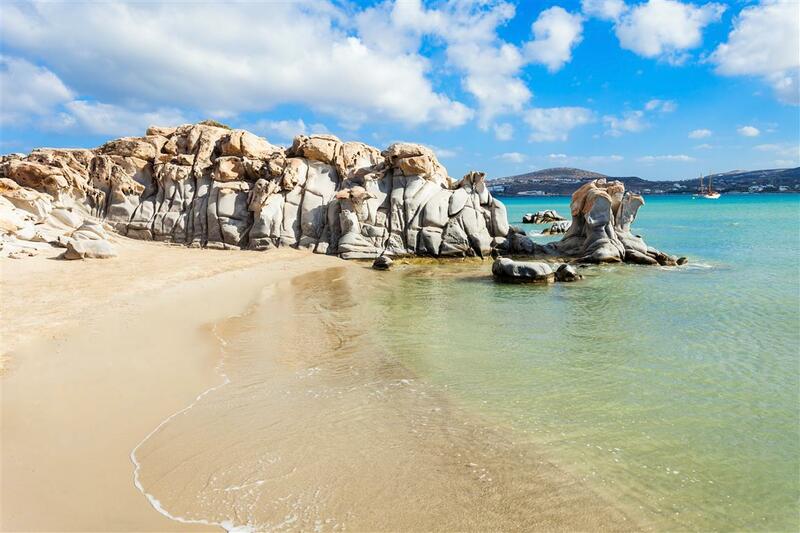 The small bays with the turquoise waters create images that you think have come out of a painting. The scenery is enchanting! 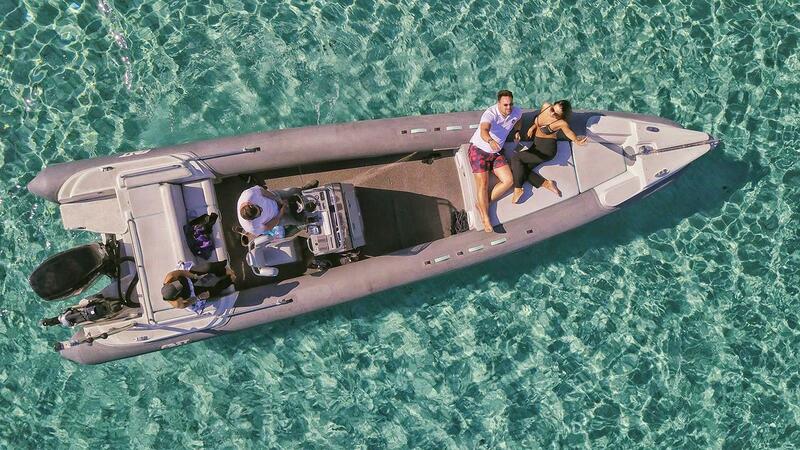 You can swim in the crystal clear waters, sunbathe on the fine golden sands, stroll around the coast and enjoy your stay on the boat with the drink and snack we offer. 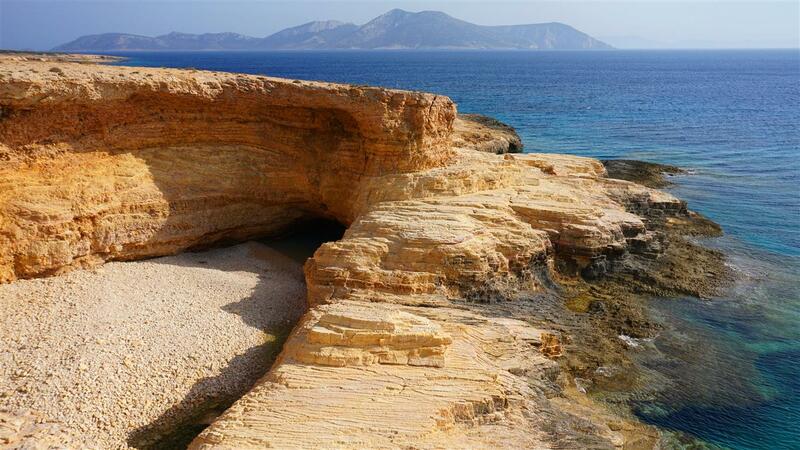 Last but not least we approach the island of Herakleia, the westernmost of the Small Cyclades. 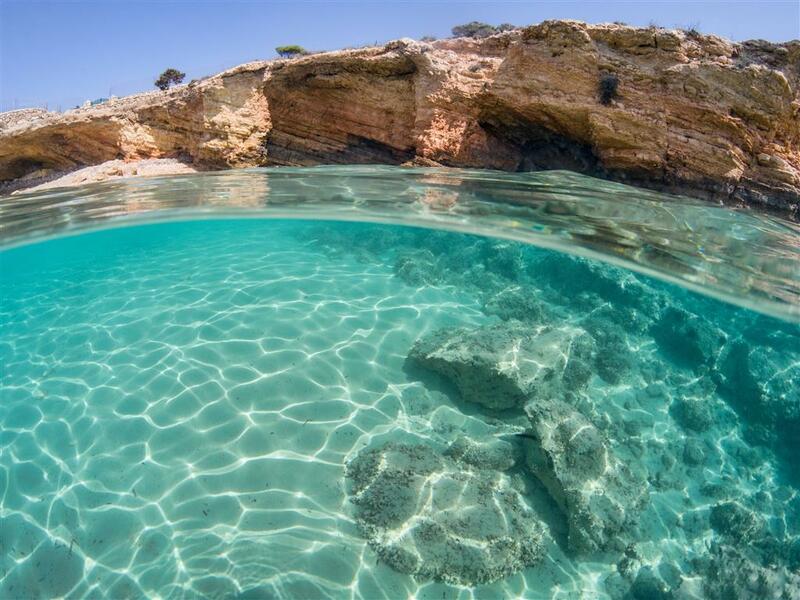 It features clean beaches with crystal clear waters. 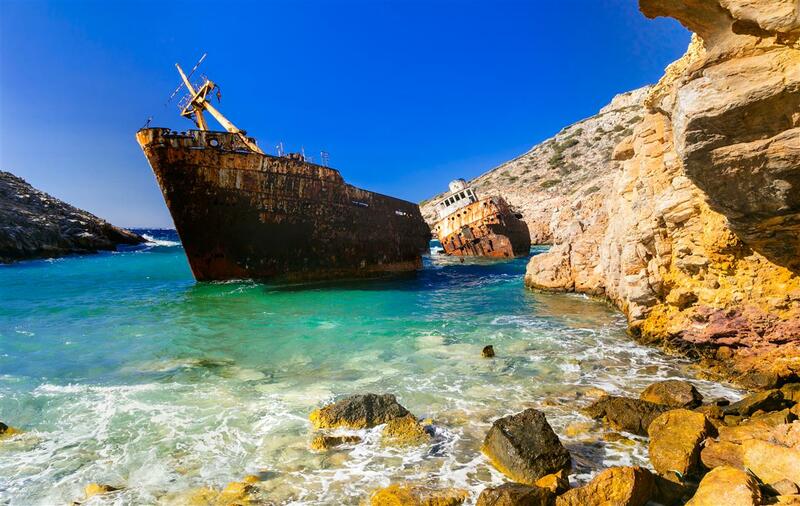 But what strikes us is the wreck we are going to visit. These are the remains of the German seaplane, which is only submerged at 11 m and is visible with a simple mask. 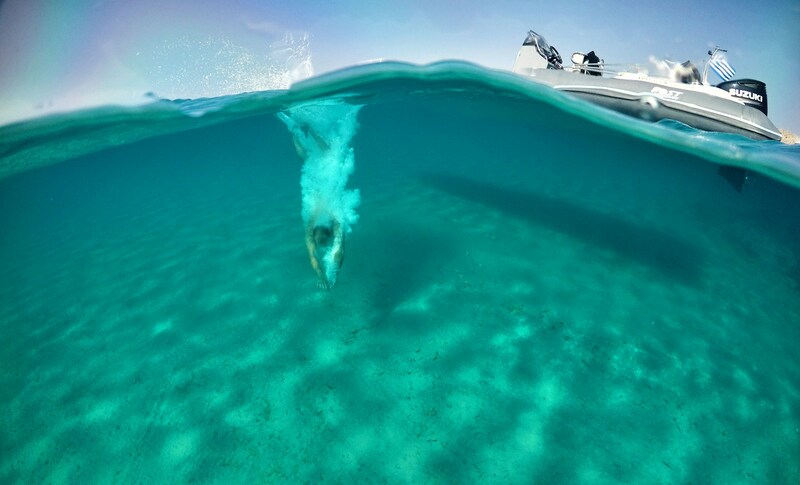 Impressive for those who love snorkeling and more! 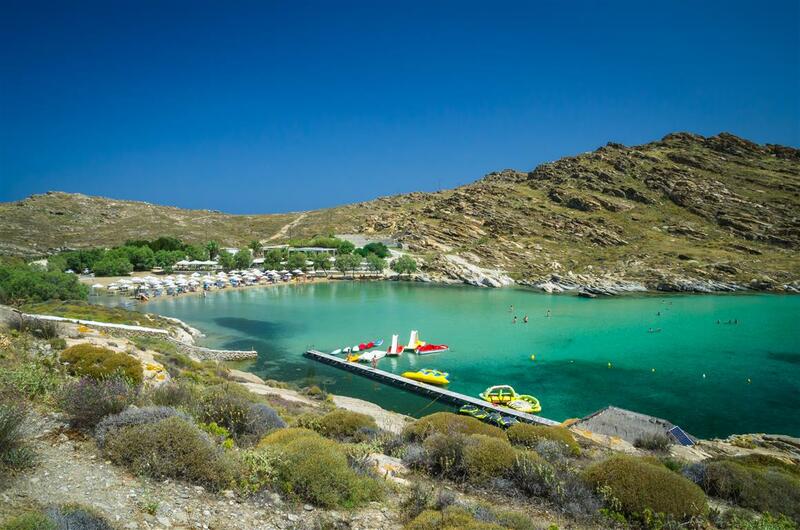 Return to Mykonos, after an experience full of fun and special moments!